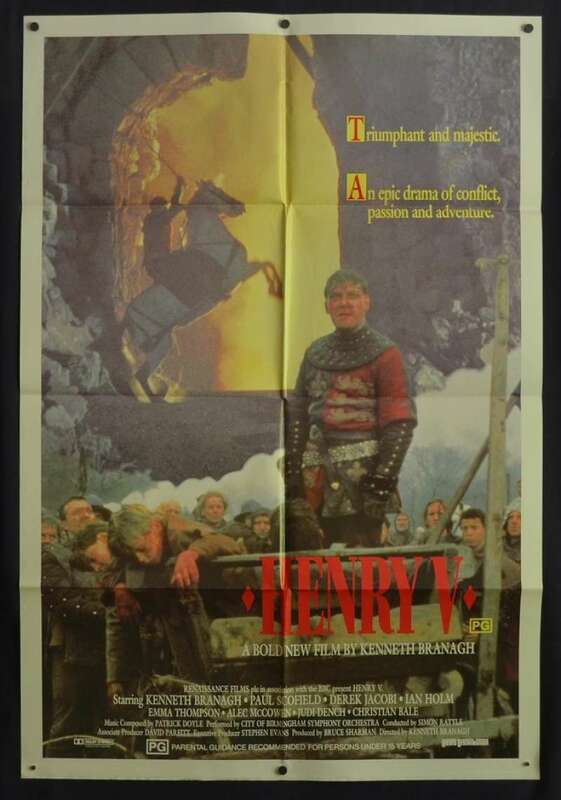 Rare Original Australian One Sheet movie poster.Henry V is a 1989 British historical drama film adapted for the screen and directed by Kenneth Branagh, based on William Shakespeare's play of the same name about King Henry V of England. 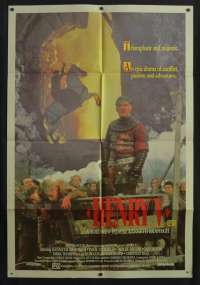 The film stars Branagh in the title role with Paul Scofield, Derek Jacobi, Ian Holm, Emma Thompson, Alec McCowen, Judi Dench, Robbie Coltrane, Brian Blessed, and Christian Bale in supporting roles.The film received worldwide critical acclaim and has been widely considered one of the best Shakespeare film adaptations ever made. 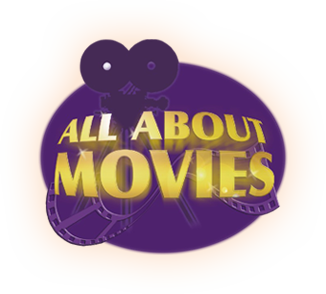 For her work on the film, Phyllis Dalton won an Academy Award for Best Costume Design and Kenneth Branagh, in his directorial debut, received Oscar nominations for Best Actor and Best Director.